The NBA regular season is in the books, and 16 teams will fight for the chance to lift the Larry O’Brien trophy in June. This season saw a lot of surprises (ahem, LeBron James and the Lakers struggling, ahem), including some rookies playing well above expectations. As we get ready for the playoffs to start, let’s take a look at the five rookies that should hear their names called when they announce the NBA All-Rookie first team (for this concept we will use the two guard, two forward, one center lineup). Young’s rookie season started with a rough outing against the New York Knicks, but he quickly developed into one of the games best young guards. His shot-making ability was never in question, as his range brought up memories of Steph Curry at Davidson during his college days. Young started slow, but he really got things going after the All-Star break and looks to be one of the cornerstones of the Hawks franchise for years to come. He’s already a key cog for Atlanta, and he’s a no-brainer to make the NBA All-Rookie team. 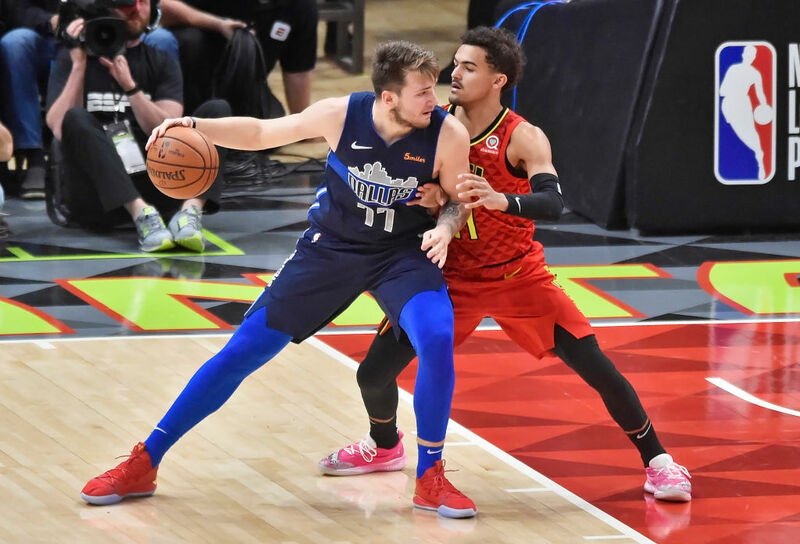 When Atlanta traded Doncic to the Mavericks for Trae Young and another first-round pick at the 2018 draft, fans were surprised, to say the least. Doncic has been better than advertised this season, and even though he didn’t make an All-Star team, he played at an all-NBA level in his debut season. He became just the fifth player in NBA history to average 20-5-5 in a season. The Mavericks traded Dennis Smith Jr. and a bunch of complementary pieces for Kristaps Porzi? ?is (part of the NBA All-Rookie team in 2015-16), so the future looks bright in Dallas. This is where the selection is a little dicey, as Jaren Jackson Jr. played only 58 games this season due to injury. However, when he performed, he was an excellent rookie on both ends of the floor. He averaged nearly 14 points and four rebounds per game, but he also was a force on the defensive end averaging 1.4 blocks per game to go along with 0.9 steals. The Grizzlies are in a rebuilding mode, and if Jackson can come back next season 100% healthy, they can be a fringe playoff team. Sacramento fans can only wonder how good Luka Doncic would be under the current coaching staff if the Kings drafted him. Would he have fit well with De’Aaron Fox and Buddy Hield? 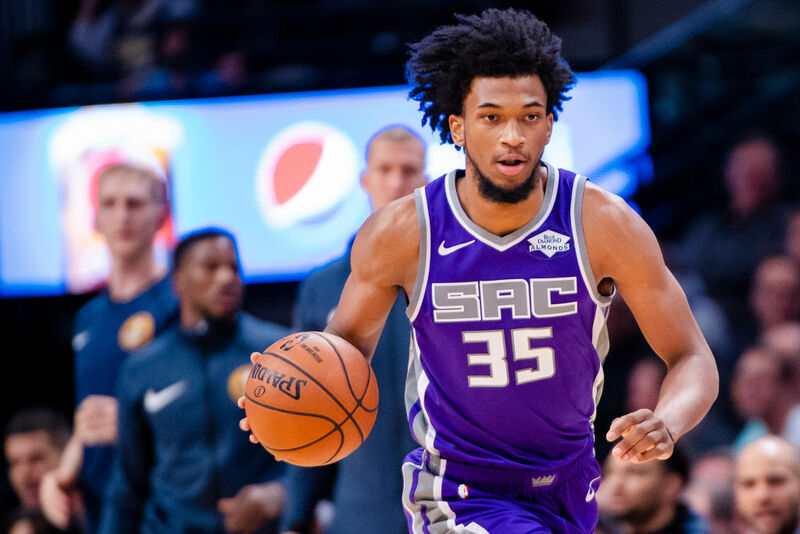 Bagley III meshed well with his teammates in his first season, and he looks to be a talented young forward with All-Star potential. The former Duke player seemed to improve his game significantly after the All-Star break. The Kings have a talented group of young players and almost made the playoffs this season, which they haven’t been close to in over a decade. Whether or not Bagley III makes the NBA All-Rookie team, we suspect he’ll be even better in his second season than he was in his first. As good as Doncic has been in Dallas, you can argue the Suns made the right pick by selecting Ayton out of Arizona. He is a double-double machine and could become one of the best big men in the entire NBA. A core of Ayton, Devin Booker, and the potential No. 1 overall pick could help turn around the fortunes of the beleaguered franchise. The Suns will continue to be a laughingstock until they get a few more young pieces in play. Who do you think should be on the all-rookie first team? After looking at our list, do any absent players stand out to you? Would you have included Collin Sexton instead of Jaren Jackson? Sexton has put up great numbers in a Cavaliers uniform and should be a lock for one of the teams. Do you think one of these players will win NBA Rookie of the Year, or will someone else take that prize?